If you don’t already know, espresso is awesome. It has almost three times the caffeine content per fluid ounce as regular coffee. It was invented by a man who wanted his workers to take shorter breaks and be more productive. That sounds awfully familiar. The only difference in my situation is that I’m both “the man” and “the workers”. 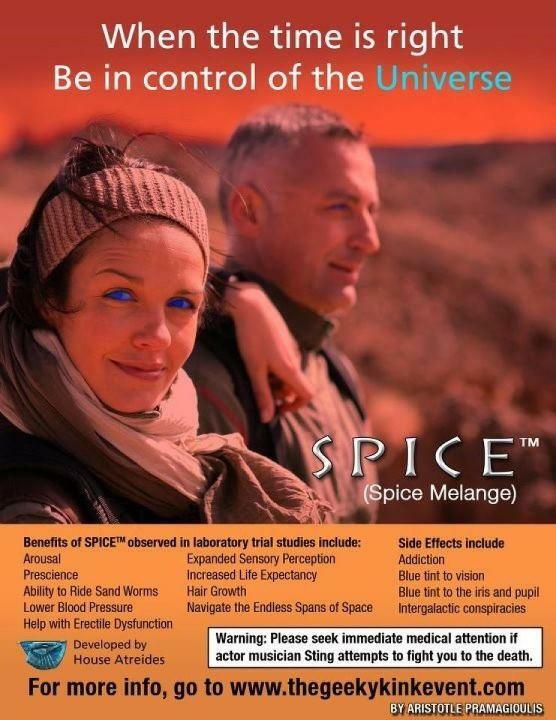 Coffee is to Earth as the Spice Melange is to Arrakis. So, you should be maximizing your coffee intake by both increasing the dosage while simultaneously reducing the volume required to achieve that dosage. The solution is AN ESPRESSO MACHINE. But, which espresso machine? A lot of brands tout the high pressure of their machines. A lot of brands add tons of little gadgets that no one really uses. Still, others just make crappy machines. What makes a good machine? The ridiculously over-caffeinated scientific community has determined that optimum coffee brewing temperature is 195-205 degrees Fahrenheit. Too cold and you won’t get all the goodness from the coffee. Too hot and your drink will taste like spicy Taco Bell sewage. I don’t mean sewage as a metaphor. I mean straight up spicy sewage. Fortunately, the KRUPS has a thermoblock heater which essentially heats the water on-demand. This is quick, efficient, and helps to keep the water temperature constant. I don’t care what anyone else says. You need a machine that is well designed and well built. Don’t cheap out on something that is mostly plastic. Also, don’t let a brand convince you that their over-priced plastic machine is actually well built. I’m not trying to say that plastic is a primary indicator of poor build quality. But, it’s a good start. I say this from a product designer standpoint. A product designer chooses plastic when he doesn’t really care about precision and he DOES care about cost. So, beware. If the designers made a cheap housing, the components that matter are probably pretty cheap as well. The KRUPS is mostly stainless steel. The drip tray is plastic with a stainless steel fascia. That’s actually a good thing, because it makes cleaning much easier. And, you don’t need precision in a drip tray. You need an easy-to-use steam nozzle. Have you ever steamed milk before? There’s a trick to it. A well-designed steam nozzle actually makes learning the trick easier. The KRUPS’ nozzle is two-piece. The outer stainless steel shell has holes around the circumference that pull in air and milk. This is nice, because it’s easy to see where you need to position the stem relative to the milk. Most baristas are listening for a specific sound. It’s a distinct “sucking” sound. If you’re NOT steaming correctly, you’ll hear violent bubbling sounds. That means you’re just scalding the milk. Scalding the milk barely froths it and also ruins the flavor. While using the KRUPS, you’ll see the “trick” as well as hear it. You’ll learn to froth milk in no-time. Real talk: The KRUPS has had some failures in its time with me. I’ve owned it for nearly 1.5 years at the time of this writing. The double-shot basket clogged up at about the 1 year mark. I was using it every day and not caring for it properly. I even tried taking it apart and soaking it in vinegar. It’s just dead. So, now I just use the single-shot basket twice in a row. And, I make sure to keep it clean. A little more hassle, but not a deal breaker. A replacement basket would cost me about $20. But, I haven’t purchased one, yet. Furthermore, I removed the spout from the portafilter. I found that the spout somehow ruined the crema. After removing it, my shots have a nice thick head. Again, not a deal breaker. The spout simply unscrews from the portafilter. There are a couple other things you’ll need in order to make espresso at home. First and foremost, you’ll need some coffee. You can use anything you want, really. 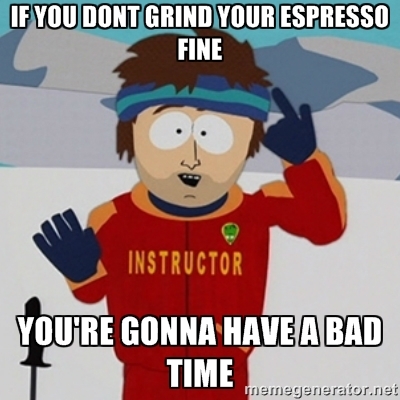 Most people are going to tell you to use a dark “espresso roast” or something along those lines. If that’s not your style, don’t do it. Use the same kind of coffee that you already like to drink. But, please don’t be afraid to branch out and try new coffees. If you’re a Starbucks addict trying to reduce costs, try some cheaper coffees. Back in the day I would buy Publix brand vacuum-sealed ground espresso exclusively. It was incredibly cheap, tasted like charcoal, and did I mention it was cheap? The very last thing you will need is a coffee grinder. Some people demand that you purchase a coffee grinder that costs several hundred dollars. Don’t. Just buy something affordable that is well built. You’re not serving hundreds of customers. You’re not a coffee scientist trying to push the heights of coffee excellence. You’re just a person trying to make espresso at home. I can imagine that means you’re probably trying to save a few bucks as well. You can get by with a $20 coffee and spice grinder. And, hey, you might even use it as a spice grinder one day. I use mine to make BBQ rubs, as well as to grind coffee. You can always skip this step and just buy coffee that is already ground for espresso. Also, my grocery store has a grinder next to the coffee section that is free to use, with various grind types to choose from. Conveniently, KRUPS also makes a cheap coffee grinder. Better yet, it’s currently the #1 selling grinder on Amazon. I don’t own this grinder. Mine is a $10 model that I bought from Wal-Mart back at the turn of the Millenium. I’ve managed to destroy it and rebuild it more than once. Good luck in your endeavor. Making espresso at home is well worth the investment. Just think of the cost of a latte` at Starbucks. If you bought one every day for a year (which we would all love to do), you’d spend over $1200. 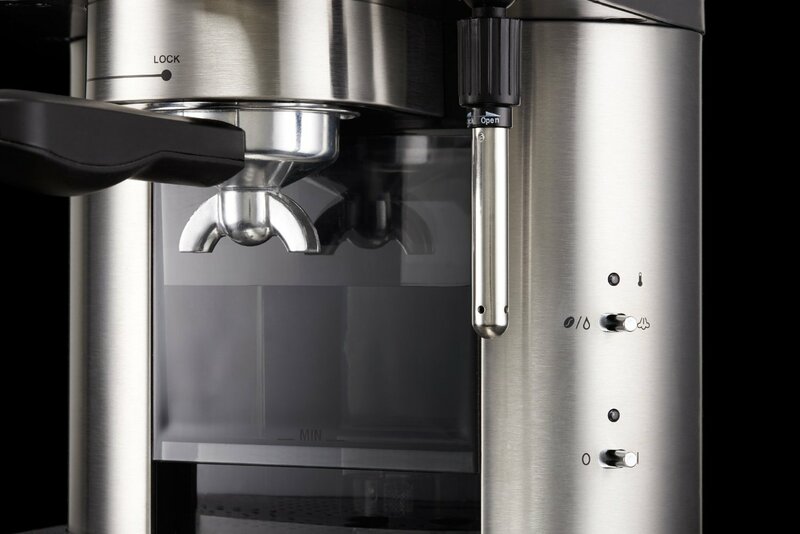 If you invest in the KRUPS XP601050 SS and buy a $12 bag of espresso every two weeks (which is probably more often than you actually would), you’d only spend about $450 in your first year. The machine will more than pay for itself. If we’re really splitting hairs, you waste both time and money by driving to star bucks. You also burn gas while sitting in the drive-through. You’re slowly making your boss hate you every time you show up a little bit late while swilling a paper cup full of bean water. You need to invest in an espresso machine to save money, to save time, and to try new things. While I’m at it, I’d just like to give a shout-out to Intelligencia Coffee. I had it for the first time at a local coffee shop. It has a beautiful flavor. It’s a little pricey. A bag of this stuff is smaller than a typical bag of coffee, and also more expensive. That’s a double-whammy. Still, when I have the money and the forethought, I run to this stuff. It’s just that good. I’m currently finishing off a bag of Fresh Market brand coffee. It can’t come soon enough. Intelligencia will blow your mind. If all you’ve ever had up to this point is Starbucks, you’ll wonder what the hell your problem was. For me, Starbucks is where I go when I’m in a rush and I have a caffeine headache. I hit up the local shops who serve different kinds of coffee when I’m out and have leisure time. Any other time, I’m pulling shots at home for a fraction of the cost of any of those places, EVEN when I’m using expensive coffee. Do yourself a favor, branch out and try these things. You’ll learn something new, taste something new, and more than likely enjoy something new.